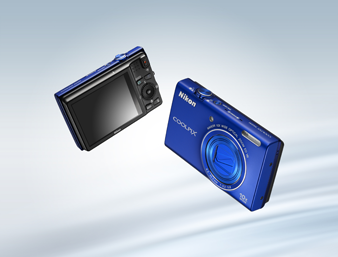 The COOLPIX S6200 elegantly squeezes a 10x zoom NIKKOR ED glass lens with 25 mm wide-angle coverage* into a highly compact enclosure. One feature of the stylish, easy-to-carry design is the strategic layout of rear panel controls, including the handy Rotary multi selector that allows quicker, surer operation. 16.0 effective megapixels of pure imaging power combines with enhanced image quality and processing speed to consistently yield beautiful pictures. Four advanced technologies to help you capture beautiful shots at night include combined lens-shift and electronic VR image stabilization, a flash control system, enhanced Motion detection, and ISO 3200 capability. Enhance your images with unique artistic expression by applying Special effects such as Soft, Nostalgic sepia, High-contrast monochrome, High key, Low key, or Selective color when shooting pictures or movies. Or apply one of the in-camera Filter effects such as Soft, Selective color, Cross screen, Fisheye, Miniature effect or Painting to shots already taken to add a creative touch. 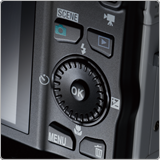 *HD refers to the ability to record movies in 720p format.